It was a very nice surprise to be chosen for the trophy and hey it looks good on display here. Looking through previous winners I feel very humble indeed. My SRi is a family car in daily use and some of the previous winners look like show cars. However I do realise that there must be a huge number of members like me who use the site for help and info to keep their cars in good running order. Plus getting a bit of fun where we can with a few modest improvements. My name is Dave and I live in <? : prefix = st1 ns = "urn:schemas-microsoft-com:office:smarttags" />South London. I’m older than I feel – Let’s just say mid forties and am very happily married with my twentieth wedding anniversary coming up this month. I couldn’t have found a better woman to marry and we have two wonderful daughters aged 16 & 14. The three of them mean the world to me. Ahhh! I have designed and made custom furniture all of my life since leaving the London College of Furniture many years ago. These days I’m on the computer most of the time using Solidworks which is a 3D modelling programme but I do get to go on site with some of the more complicated projects. For a few months now I have been working on a luxury flat in Moscow. My speciality is boardroom tables AV walls and rise & fall plasma TV cabinets. I was until recently into karate but unfortunately last year I damaged my knee while training for my black belt grading so now I’m down the gym whenever I can trying to get back into shape. How did you find the NPOC forums, what keeps you coming back each day and would you recommend the club to others? Is it worth the membership fee? 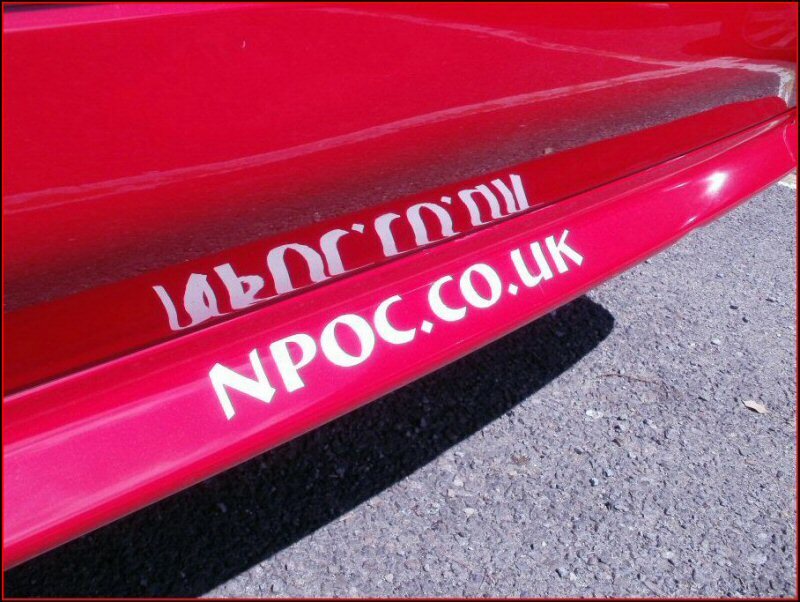 I found NPOC when searching online for information on my car and it was so useful that I joined. Oh and yes I have been on here rather a lot recently since I stopped the karate. I initially went on for technical info but just love all the banter and other stuff that goes on and have made some good friends. Very much recommended and you’ll save your membership fee many times over from the advice on offer. Now you were rather shocked when I contacted you, to give you the good news about winning Car Of The Month! You didn’t think that your car was worthy enough (shame on you!). We’re not always about monster modified cars you know, there are many purists amongst us. How the hell do you keep your P10 looking so bloody good? I think a major factor in keeping my car in good shape has been learning advanced driving with The Institute of Advanced motorists which I did when my sister was killed in a car crash. 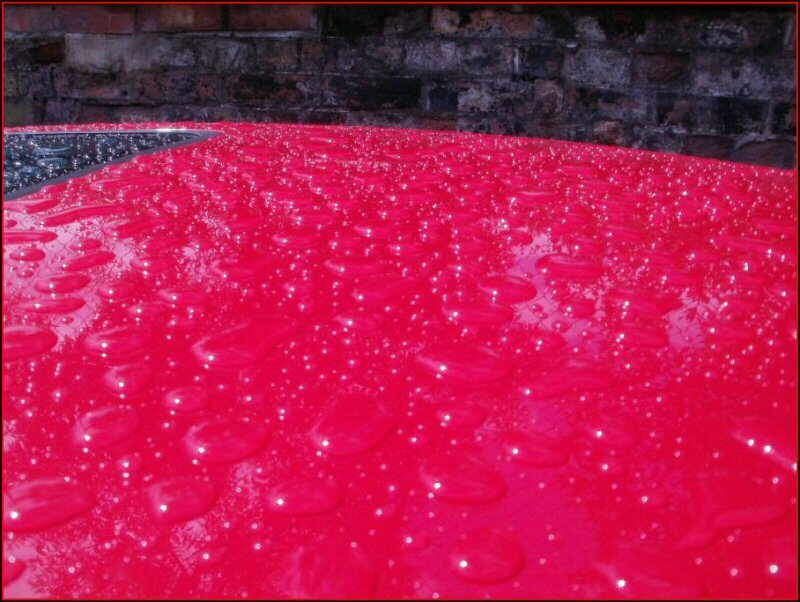 This also lead me to be very keen to keep the car in as safe a condition as possible. 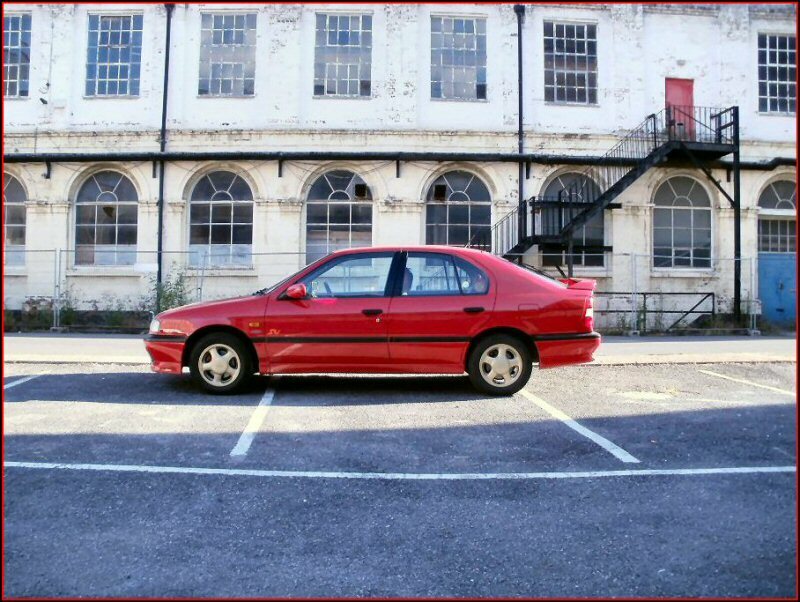 Other than that I’m a car cleaning nut, simple as that and I’m very careful where I park it. I can’t afford to buy new cars so I’m going to make whatever I do own look as good as I can get it. 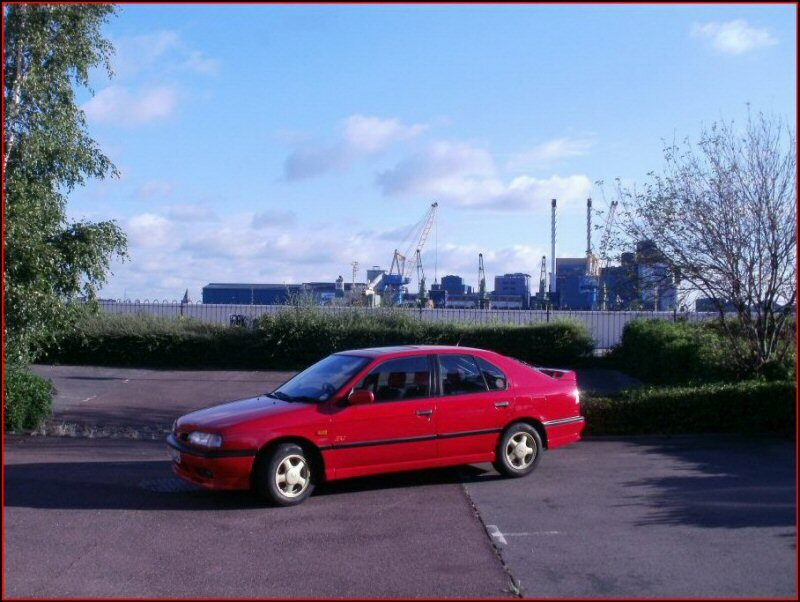 I gather you have owned this car for many years now (you’ve been on NPOC for years with it) – How long have you owned it for and what got you into Nissan Primera’s in the first place? 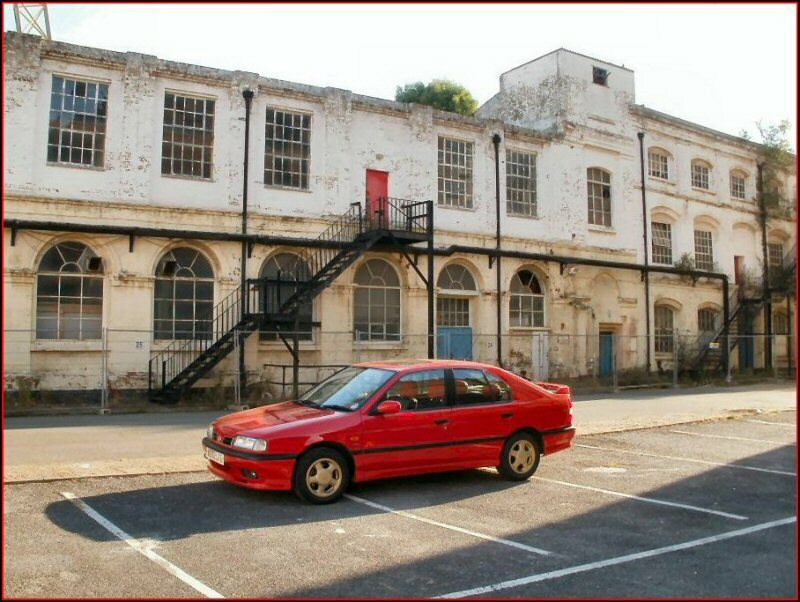 My insurance renewal came up recently and I realised that I have owned the SRi for eight years to the day of the Ferry Meadows meet. 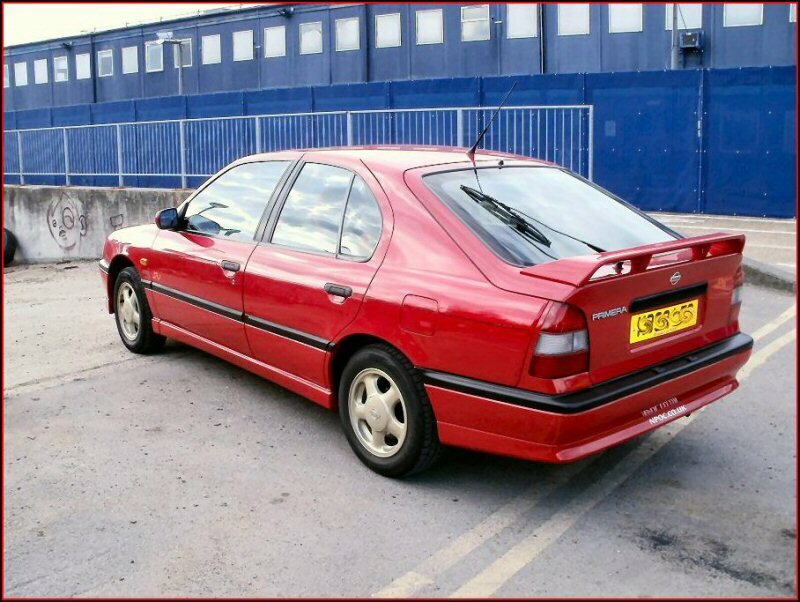 My first “family” car was a Ford Fiesta which had “issues” and so when it was time to get another car I did some research to find out what cars were the most reliable. 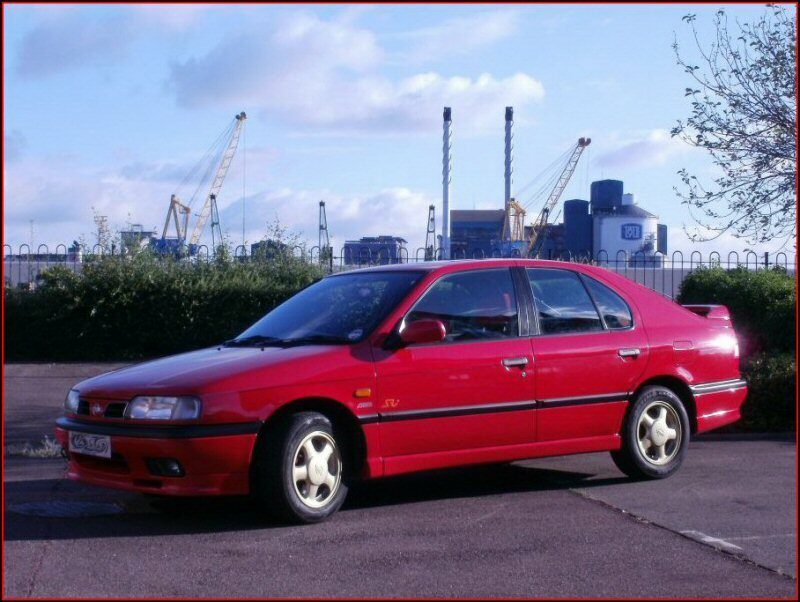 This lead to nine years ownership of Nissan Bluebirds which just never seemed to go wrong. 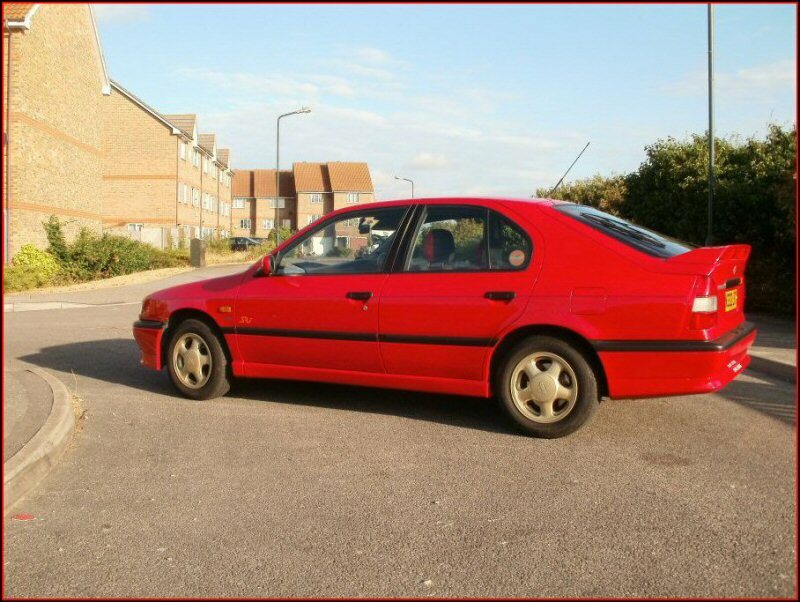 So when the time came, I moved on to the Nissan Primera as they had the same reputation and the reputation has been well deserved! You must have some serious Primera passion with a long term ownership like that! Have you ever been tempted to sell up and move on? What keeps you behind the wheel of this P10 SRi? 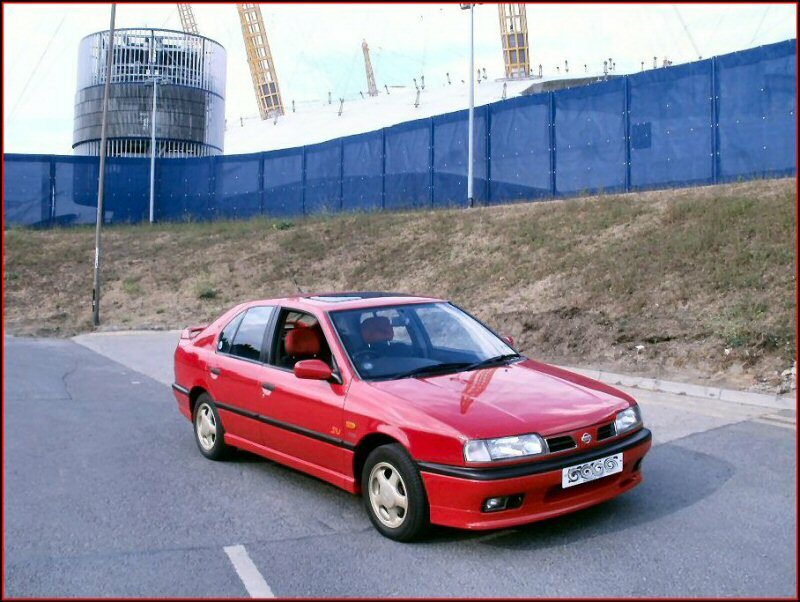 I always read the “Cars For Sale” section of the site and yes I have been tempted over the years but I get such good comments about the SRi wherever I go that unless something goes wrong with it, it seems daft to lose it. 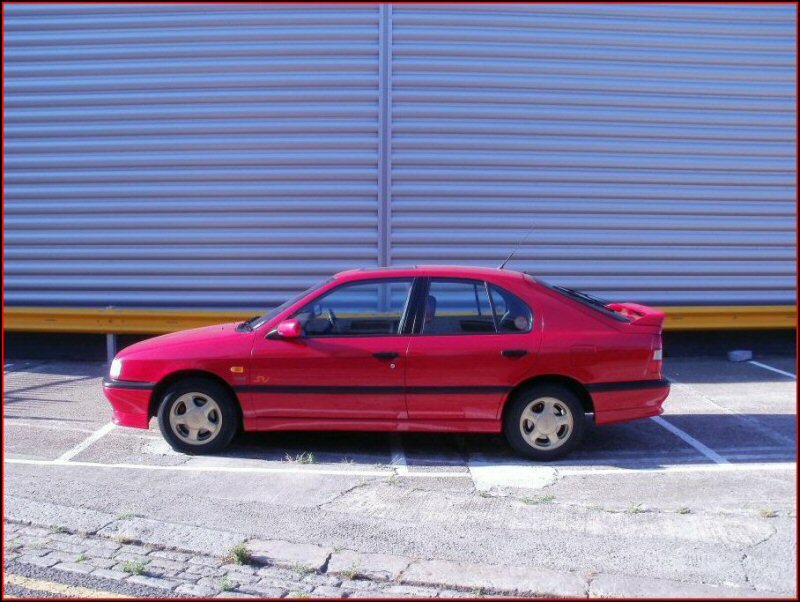 I seem to recall from posts made on the forums a few years back, that you may be a 2 Primera family? Is this still the case? 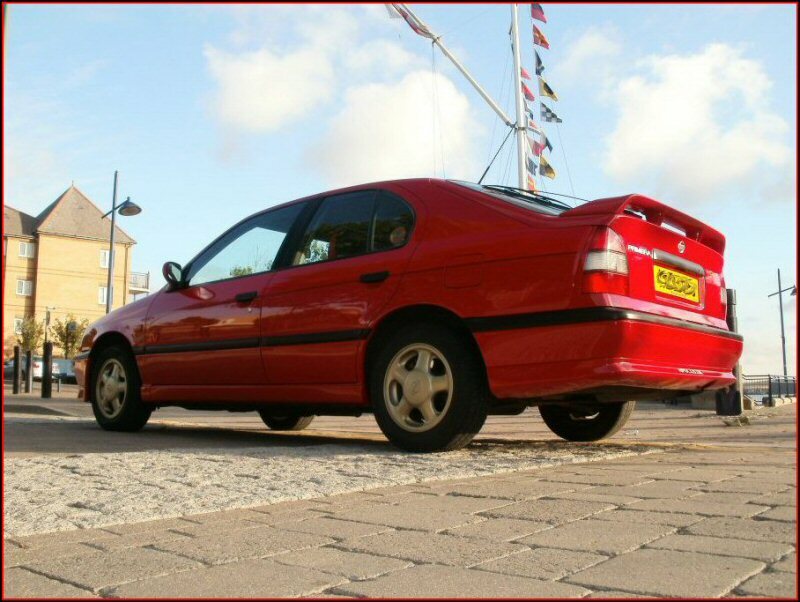 We are indeed a two Primera family which makes swapping cars a lot easier from when we had two cars with most of the controls on different sides. They are both hatchbacks and it’s amazing what you can load into one. 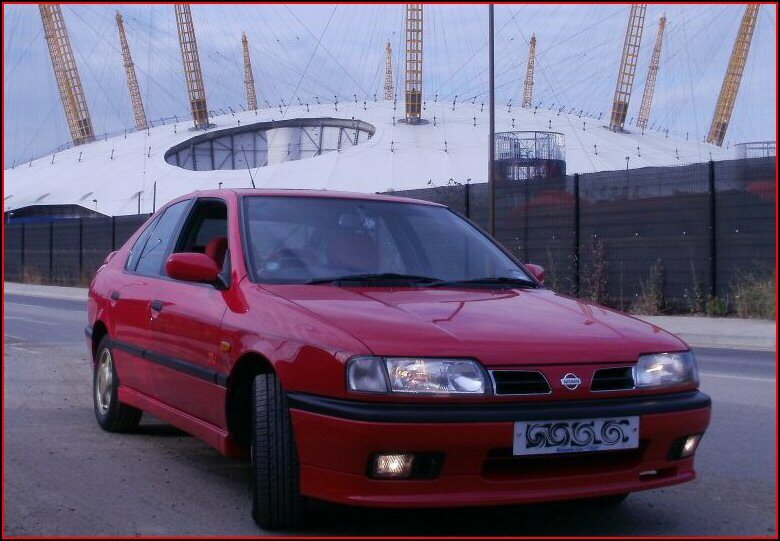 Our second Primera is also a P10, a slightly younger 1.6 LX with a lot less mileage under its belt. 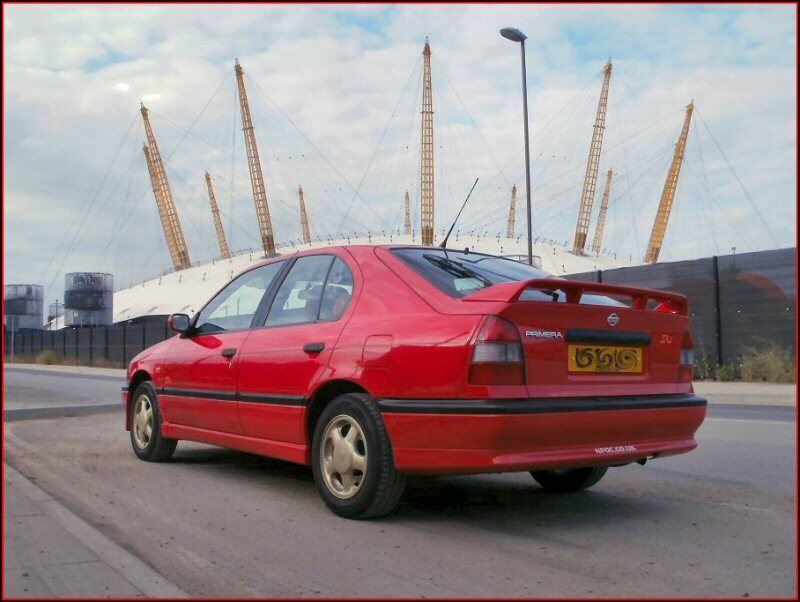 We know your minty mint example of a Nissan Primera has been more about keeping it standard and in excellent running condition – Have you made any changes over the years? As you can see in the photos I have gold wheels at the moment. This was not a design decision, I wanted to restore my wheels but needed them off the car for a while and Daz “Dagger” was selling this set, so I am using them temporarily until mine are match fit. I have bought a lot of replacement parts from people on the site over the years and this has included a rear windscreen heater switch with a dark blue light from “Demon Driver”. I think that’s the only non standard part apart from my red gear knob gator from Tom “Tom-P10”. So modification has not been something I’ve been into. The closest I have come maybe is to replace the orange stripes down the side with black ones. Is there a modifying animal inside of you, that has been trying to burst out but your sane side keeps telling you to leave the car alone? Definitely, I was very inspired at the Ace Café Xmas Meet last year and if money and time were not an issue I’d love to try some of the stuff others on this site have done. I have been toying with the idea of routing out a section of a P10 spoiler and adding an integral brake light but I don’t think I’ll really ever do it. It’s a shame that the P11 one won’t fit my car. If this is just money for me to play with I’d probably have the best looking alloy wheels I can find for use on special days out. However in reality I’d probably get the whole car checked for rust and repairs and have it all sealed up underneath to stop any nasty MOT surprises (Oh dear that does sound boring doesn’t it). 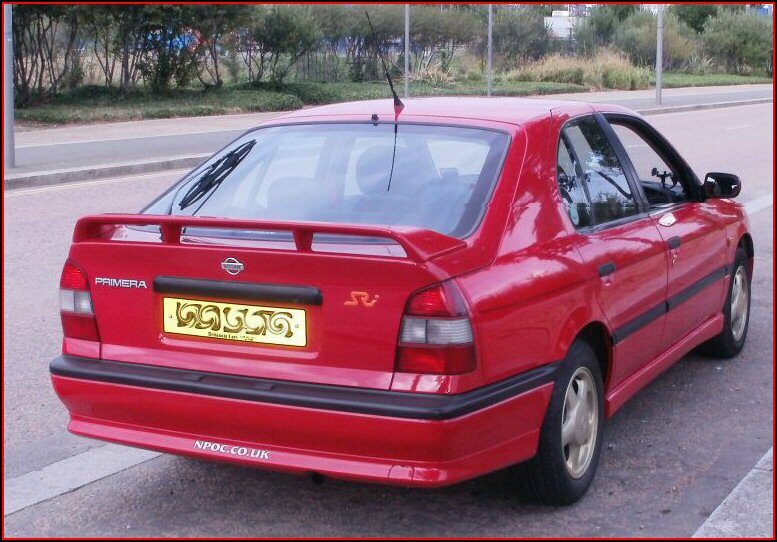 If you could do anything and cost was not a worry and you were tasked with creating the Nissan Primera of your dreams, what would the net result be? It would probably be a pearlescent painted P12 very much inspired by “Big Sydney’s” car with lots of custom made “one of a kind” panels. Yes I know that’s not loyal to the P10 crew but this is money’s no object stuff. I have test driven P12’s and didn’t buy one in the end as I love the P10 but I would like all of the modern gadgets for a bit of comfort in my old age. Ha! 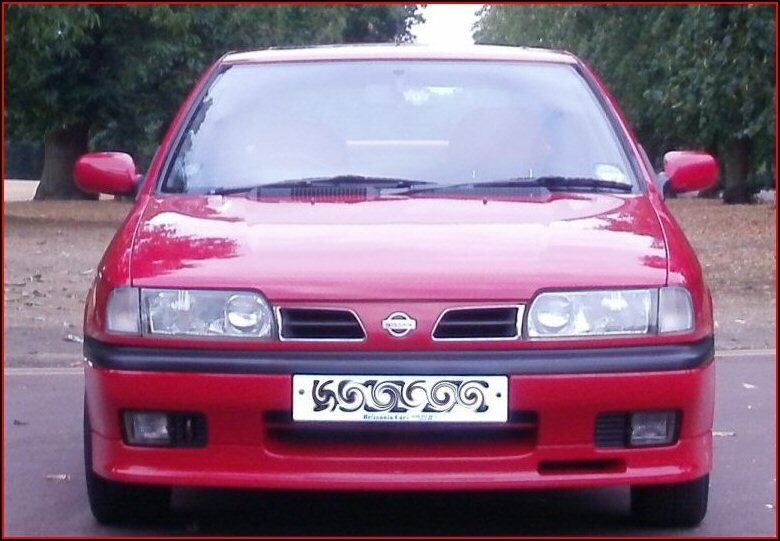 You have the GA16DE engine in your Nissan Primera P10 SRi, like me you have some age on your side, so insurance is not a problem. Was there any reason you didn’t buy an SR20DE? 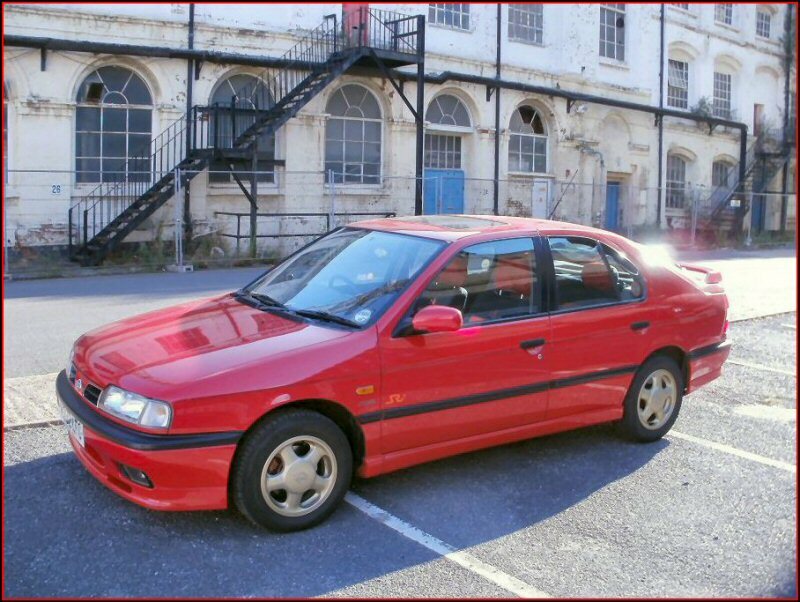 To be honest I may very well have bought one if there had been one around when we bought the SRi but it came up locally and we both loved it so much we had to have it. For what I need from a car, the 1.6 is just fine with me. P11 or P12? – Er I’ve never driven a P11 but imagine I’d prefer it to the P12 from a driving and maintenance point of view. Formula 1 or Touring Cars? – Touring cars. Essex or Brighton? – Many happy days out in Brighton, sorry Essex. Nordic or Cerise? – Nordic. Marmalade or Jam? – Sugar free jam. Petrol or Diesel? – Petrol. Tell us your favourite NPOC car? – Has to be “Big Sydney’s” P12, he’s done some amazing things to that car and I love the wheels and custom front section. I was a bit scared of coming along to the meets at first as I don’t know a lot about cars really and the other cars on the site look so impressive. I thought that all of the conversation would be about car performance and modding but I was wrong. There’s a great group of people on here and the meets can be a fun day out where you can learn from other owners whatever you want to know. It’s also a good place to arrange to pick up parts you’ve bought from other members. 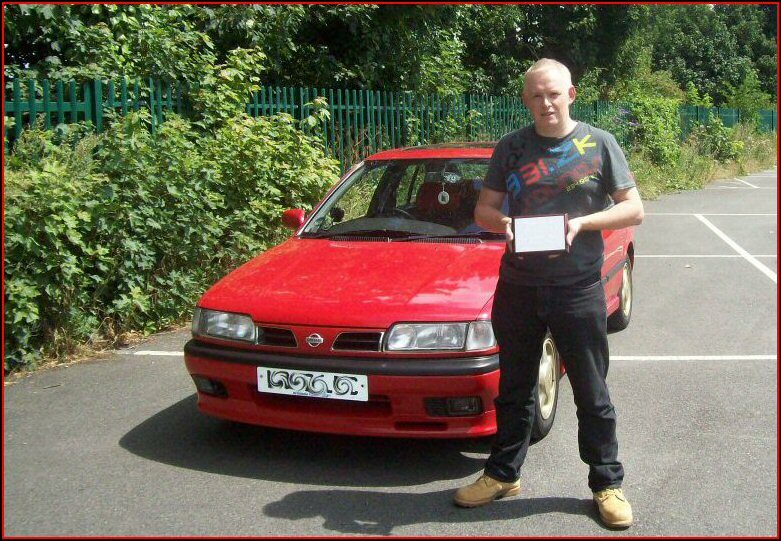 Many thanks for taking the time to let us know all about you and your Nissan Primera Dave, you and the car are very worthy winners (you have no worries there)! 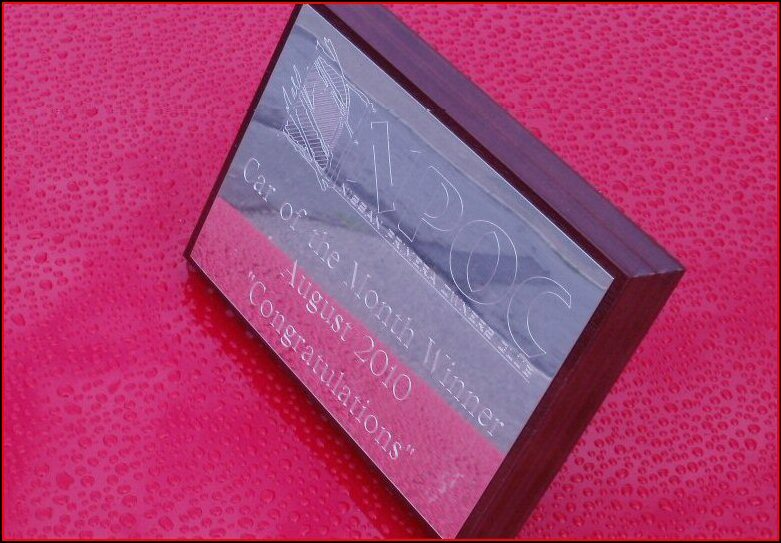 Congratulations once again for winning Car Of The Month for August 2010! Please lick down the envelope and seal the feature, with your thanks and shout outs for anyone who's helped you win this one. Where to start, I’ve spoken to so many people on the site and at meets that I’ve lost track of some people’s names. So a big thank you to all those who have helped me along with my many little “how do I do this” questions. Also to those who have inspired me, made me laugh, voted for my photos in the regular competition or supplied me with replacement parts. Special mentions have to go to “Tom-P10” who has been a great meet buddy and given me a lot of mechanical advice as well as some good car parts. “Geordie” Chris was also very good company at the Ace Café meet and I look forward to meeting up with him again. “Dagger” Darren has been brilliant, getting me new SRi stickers and turning up at Ferry Meadows with the new wheels and boot buffers. “Big Sydney” for inspiring me with his mods! “Grim” is a great guy to have around when you are working on your car. My wife and daughters who have put up with me, getting them to help with weird Primera photo competitions. Then of course there’s Shaun and the rest of the team who keep us all in order – Thanks guys! Ooo it’s like getting a Bafta!